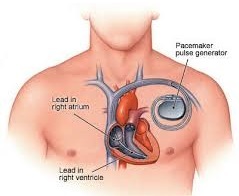 Pacemaker users are generally advised to avoid places that are prone to high electromagnetic interference (EMI). Pacemakers use high-quality radio frequency (RF) shields to protect them from EMI; however, this adds to the cost of the device. If Anjan Kumar Pudi, a research scholar with the IITB-Monash Research Academy has his way, this will hopefully change. Anjan Kumar is working on a project titled, ‘Highly EMI-immune low-noise nano scale integrated circuits for portable electro-medical and electro-sensor applications’ under the supervision of Prof Maryam Shojaei Baghini and Prof Jean-Michel Redouté. His aim is to analyse existing topologies to identify where noise and electromagnetic compatibility issues originate, and then figure out ways to overcome these constraints using low power novel designs useful for a broad range of applications. The IITB-Monash Research Academy is a collaboration between India and Australia that endeavours to strengthen scientific relationships between the two countries. Graduate research scholars study for a dually-badged PhD from both IIT Bombay and Monash University, spending time at both institutions to enrich their research experience. Electromagnetic shielding is the practice of reducing the electromagnetic field in a space by blocking it with barriers made of conductive or magnetic materials. Shielding is typically applied to enclosures to isolate electrical devices from the ‘outside world’, and to cables to isolate wires from the environment through which the cable runs. Electromagnetic shielding that blocks radio frequency electromagnetic radiation is also known as RF shielding. Reduction of DC operating point of an OpAmp due to the increasing EMI-amplitude.